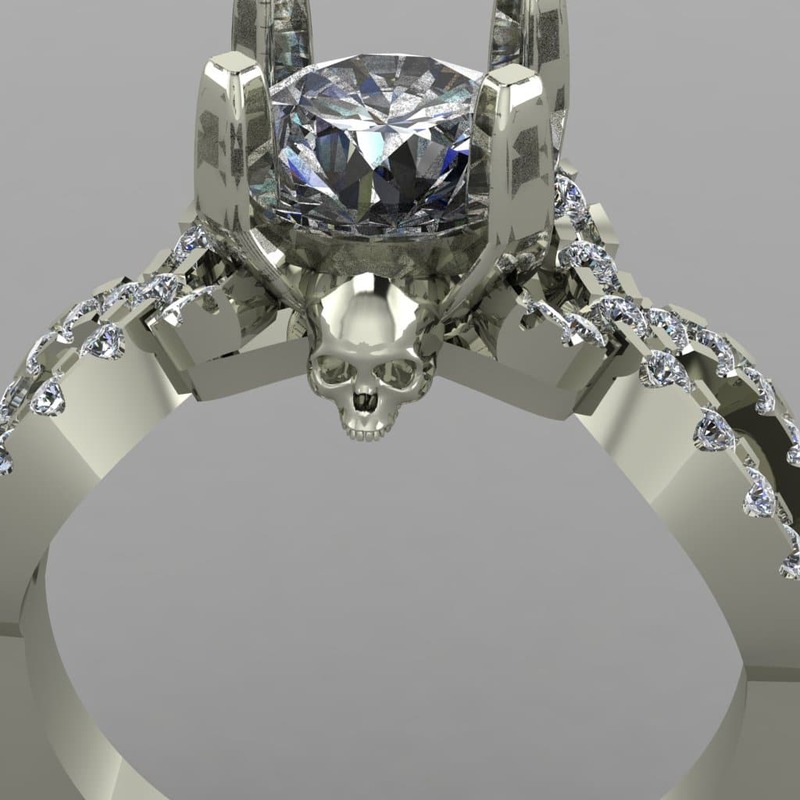 This infinity skull engagement ring has skulls underneath the center stone. This one holds a 5mm round stone and has 1.3 mm accents in the halo and 1.5mm stones down the sides of the ring. Larger stones can be used as well. ACCENTS: 1/3+ TCW, depending on the size of the center stone. Due to the size (1.3mm-1.5mm), these can only be Diamonds, CZ, Emerald, Ruby, and Sapphire. 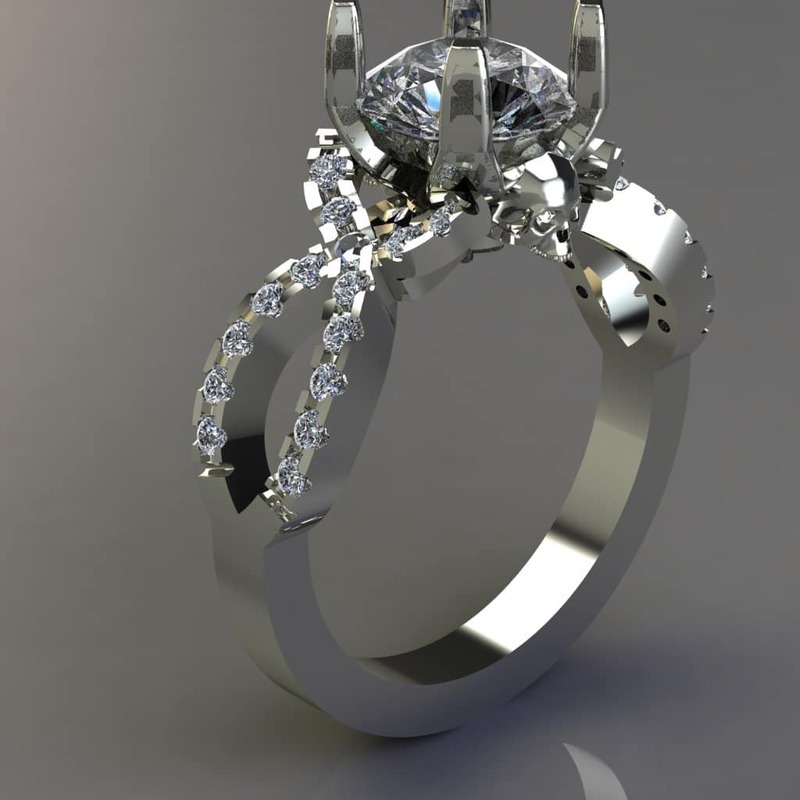 If you like infinity skull engagement ring, you can see others HERE. 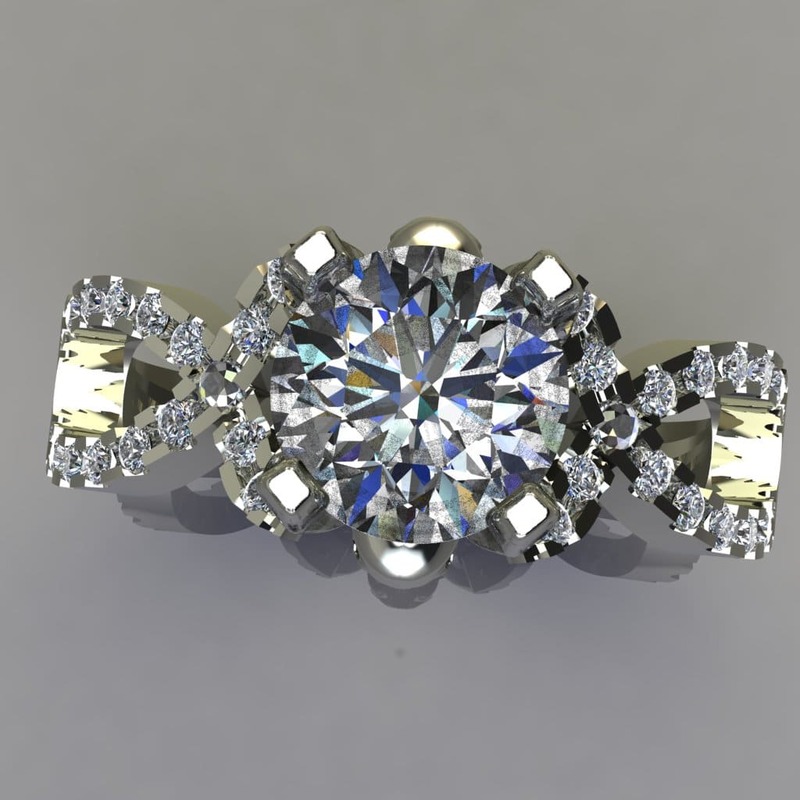 Click HERE to learn more about custom jewelry, see more of our portfolio, or to contact us.